For grinding tubes and pipes, we have several suppliers of tube grinding machines. Which machine is the right solution for your application, is also determined by the specific requirements and budget. We offer solutions for straight and round pipes, but also for bent tubes, such as banisters. In addition, we have several solutions for grinding rectangular tubes and barmaterial. These machines can be supplied as dry and as wet system tube grinding machines. 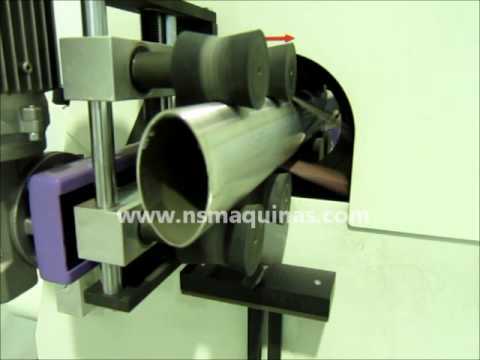 Furthermore, we can provide automated solutions for loading and unloading tubes to the machine.